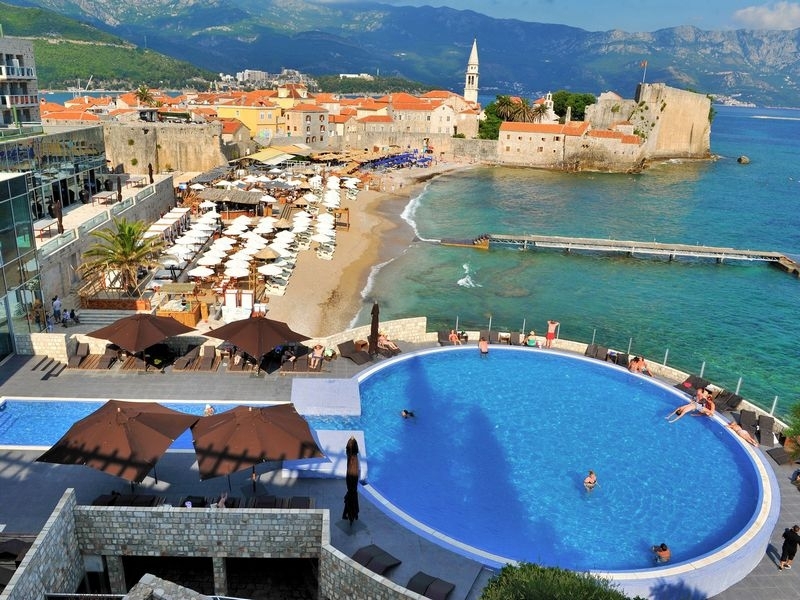 Budva, Old town – book by us the best holiday package to Montenegro with direct flight from Vienna, hotel with halfboard and retour transfer. 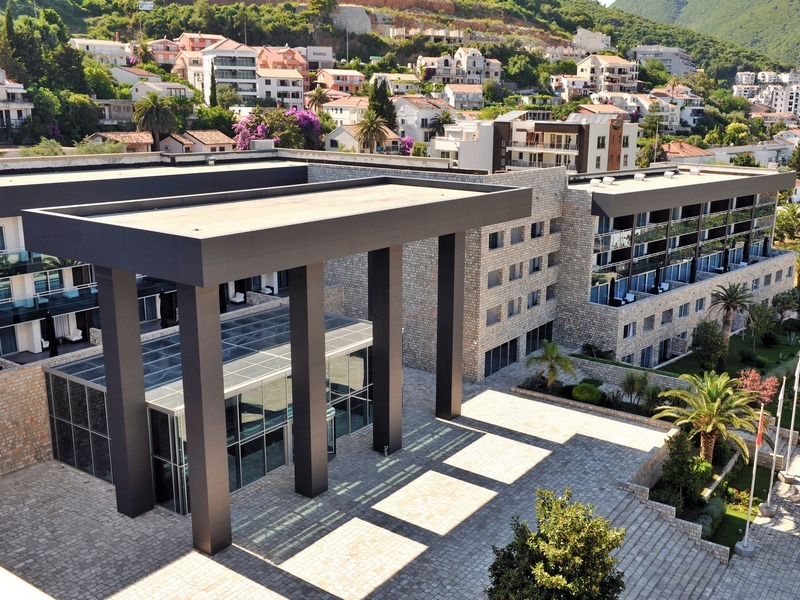 Equipment: This modern design 4-star luxury resort meets all the demands of the modern day traveler. In addition to the 6 elevators enabling access to the 7 floors, there is also an escalator leading to the Main Panoramic Restaurant and duplex suites; spacious reception hall (Free Wi-Fi in the whole hotel) with numerous sitting areas, Restaurant, Italian à-la-carte-Restaurant with marvelous terrace, Cafés, Cocktail bar, Casino, Indoor swimming pool in Wellness Centre. At guests’ disposal is also an outdoor pool with terrace with breathtaking sea view. Sun chairs and parasols on the pool and on the beach free of charge. Rooms: Modernly and stylish equipped with a bath and a separate shower, furnished balcony, mini-bar, Satellite LCD Flat Screen TV, Direct Dial Telephones and air-conditioning, in room safes, free Wi-Fi Internet. 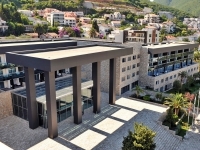 Location: Gifted with a unique location – just in few steps from one of the most famous beaches in Budva and directly by the ancient walls of marvelous Old Town Budva with narrow, twisty alleyways, restaurants and rich offer for night life and amusements.